Salesforce being the powerhouse that it is, has a huge amount of standard features that an average Administrator probably won’t get to use in their career. However, it is essential to know about these features to provide the best service your company or client. For example, you won’t want to go creating a custom piece of development , only to find that this feature does already exist inside of Salesforce. It is also essential to know about these more obscure, less used features if you are revising for any of the Salesforce Certifications. Reason being, Salesforce will want you to know the best way to solve a problem with STANDARD features, even if it can be accomplished with APEX code or a workflow. I understand that these features may be second nature to Admins/Consultants who have used them in the past, but in my experience they are some of the less used and niche features. I hope this helps! First up we have Big Deal Alerts. I’ll never forget this little feature as it majorly tricked me into thinking it was a fake answer in the Adm201 Exam! 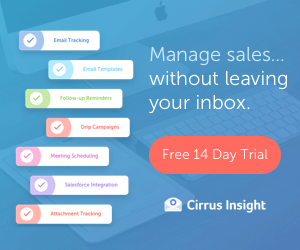 Big Deal Alerts allow you to quickly set an Opportunity amount that triggers an email to be sent to select members of your company with a snapshot of the Opportunity Layout page included. You can set multiple emails for the email to be sent to, as well as multiple CC’s and BCC’s and also to notify the Opportunity Owner. Auto response rules can be used to automatically send emails to leads or cases based on certain criteria. These can be used to let customers know you have received there request and are dealing with it. Multiple Rules can be set up with different templates and emails to really personalise emails being sent to customers. Divisions can be used to segment your organizations data into logical sections. These divisions can be used when searching, making reports and using list views. This can be very helpful for organisations with a large amount of data and complicated reporting techniques. Divisions have to be enabled by Salesforce. Territory management is an account sharing system that grants access to accounts based on the characteristics of the accounts. It enables you to structure a sharing system that suits your sales territories. Territories are structures like Role Hierarchies but do not have to follow the same layout. Territories can be geographical or product based to suit your Sales team best. Territories have to be enabled by Salesforce. Classically, Salesforce has been designed to have a B2B (Business to Business) model. Meaning that you have accounts with many contacts related to this one account. You also have opportunities and cases related to accounts. Person accounts allow you to open up the possibility to use a B2C (Business to Consumer) model. This means that you have Person Accounts as well as Business Accounts. Person Accounts are added inside Salesforce as a new record type on Accounts. Person Accounts have to be enabled by Salesforce. If you have a private sharing model, but often need multiple people from different departments to collaborate on Accounts and/or Opportunities then Sales and Account teams could be for you! Teams allow you to specify members of your organization that you wish to collaborate on records with, you can also specify what level of access each member has to that record (Read or Read/Write). Salesforce to Salesforce enables you to share your CRM data between other companies using Salesforce. This is native to the Salesforce platform and does not require custom development. This can be set up in such a way that you only share the data you want to share. 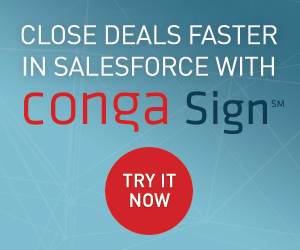 An example use case could be two companies who are partners and both use Salesforce. Content Delivery allows you to deliver documents to Salesforce Contacts by providing a custom link. Content Deliveries can either be viewed in this webpage link or downloaded. They also have a lot of options when sending out including locking down the option to download this document, password protecting and also notifying when this delivery is viewed. 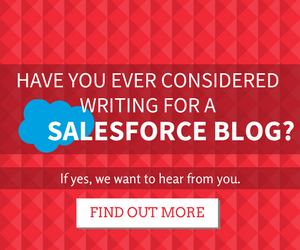 You may have seen the term Outbound Messages when defining a Salesforce Workflow. Outbound Messages are an option for when a workflow is triggered, they allow you to contact an external server outside of Salesforce to perform a certain function. Ben, thanks for the helpful and informative post. I used Salesforce in a previous sales role and worked at Salesforce as an intern last summer, and I still hadn’t heard of several of these features. The “person accounts” feature is especially interesting; it would be great to see Salesforce expand this and make a bigger splash in the B2C market. Thanks for your kind words. I’m planning to do an expansion article Person Accounts Vs Business. As its perfect for some companies but is a bit of a beast to get your head around! I believe it! Interesting how I can think I know a product inside and out and then learn something completely new. Thanks again!